How would you rate your training? "About 6 years ago my program decided to stop supporting an IFR program. We kept the airframe, lost the training. The training was just meeting the minimums anyway, and barely kept anyone competent enough to fly SPIFR. I was sad to see it go, but we didn't make any money off of it. It was supposed to be for safety, but I was still in an IFR twin, so, hard to complain. I get it, business is business. Then about 4 years ago, we lost the twin and went into an ASTAR. Flying around at night over hazardous terrain, houses, mountains, etc... IIMC without an autopilot and no instrument training. I have plenty of time in singles, so I was convinced I could maintain safety by lowering my weather minimums, and flying higher at night, choosing my flight path over more favorable terrain etc.. It made my job a little more difficult, but I still considered it safe. I feel I was able to mitigate the risk. Then about 3 years ago my employer decided it was "too dangerous" to train me to do autorotations. I haven't doen an auto in 3 years, I go back to training to practice my power recoveries and my first auto is litterally the worst of my entire career. I overshoot my spot by 100 feet, and I flair way too high. The instructor is tickled with my performance and deems it "a really good auto". This guy must see some crap if my worst auto ever is considered good. Training is supposed to last 5 days. 2 travel days and 3 training days. I show up and get my "ground" done in about an hour. The trainer puts on as much gas as he can fit and we do the entire training and checkride in one flight. That is it for the year. Every year I am worse than the year before. Every year they take away more redundancy, and skimp on the training. I'm done. I can no longer justifiy the risk. Being sent out there with no hope if anything goes wrong. No training, and no redundancy. Sad state of affairs. I took a job over seas. I will miss being home, but I would rather be alive and I am not ready to stop flying yet. Stay safe guys and don't accept the risk they expect you to so they can make money. 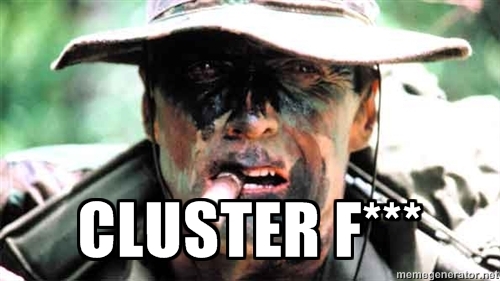 I just got back from training"
I got a call from a friend at a program in the northwest... He wanted to talk about cabin size and storage/securing of equipment. He flies a twin, and thinks twins are better not because of twin-engine reliability and redundancy, but because they have a bigger cabin with more storage compartments. Then today I read this,..
through the nose cone of the aircraft. 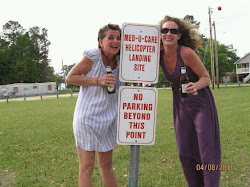 aircraft and to not leave them between patient’s legs. Any one of us who has flown patients in single-engine aircraft knows that finding a place for all the equipment can be a challenge. 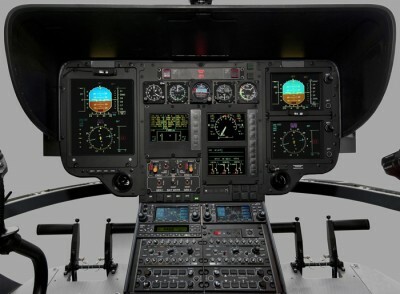 A BH-206 or AS-350 cabin simply does not have enough cabinets or drawers to accommodate the "stuff" that we have to take with us on flights. The EC-130 cabin is cavernous, but even here there is a dearth of cabinets and drawers. Some cabins are bigger than others, with lots of cabinets and drawers. Even in this large cabin, items are clipped to a wall ring or seat strap - and depending on strength of restraint - could fly loose in a violent acceleration or deceleration. Like Gunny Highway, we end up improvising, adapting, and overcoming the limitations imposed on us by the folks who select the aircraft we work in. This equates to stuffing functionally-grouped items into a bag or soft-sided case and "securing" these with a D-ring through a strap or handle. While some aircraft have a baggage compartment, this cannot be accessed in flight, so the things that might be required must be kept at hand in the cabin. Like I said, it's a challenge. And there is a certainty about the items that are tucked, stuffed, or clipped - when things get "real" in flight, they are going to go everywhere - including outside the aircraft. In the picture on top, a bird coming through the windshield caused an over-pressurization of the cabin and the doors popped open slightly. 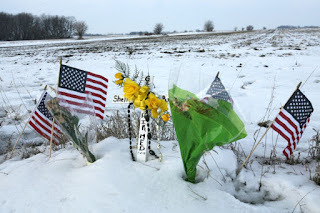 Pieces of medical equipment were strewn across the countryside. In retrospect I am fairly certain that an FAA inspector would determine that this medical cargo was not adequately secured. Consider the requirements when you fly on a commercial jet, like Delta. You must put all items in the overhead bins or underneath the seat in front of you. If you look under the seat you will see a metal restraining bar placed there to keep the bag from becoming a missile-hazard in the event of a sudden-deceleration in either the vertical or longitudinal axis (a crash). No items can be allowed to block emergency egress - and the definition of what constitutes blockage is pretty exacting. You cannot hold a laptop in your hands for take-off and landing, and any item bigger than a tablet or phone must be stowed as described above. You are not allowed to put your laptop in the seat pocket in front of you. You are not allowed to secure items in an empty seat with a seat-belt either - but we do that in our single-engine HEMS aircraft regularly. Now compare our operations to the part-121 carriers (the airlines). When a critical patient is on board and multiple interventions are occurring in flight, the aircraft looks like a combat-zone after landing. Perhaps it's the nature of the job. One thing is for certain, the appearance of the aircraft cabin on the way to the patient should meet the requirements for stowage and security. The best resource for determining this is going to be your maintenance personnel. They should be consulted as you make decisions about what will go where. Pictures of cabin layouts eliminate doubt and the chance for any questions, or fines, after the fact. In fairness to his license and your company's operating certificate, your Director of Maintenance should probably be the determining authority as to whether what you want to do complies with the rules or not. Take some pictures of your cabin when it's configured for a patient flight, email them to your base mechanic asking for verification that everything is okay, and print and save the email. 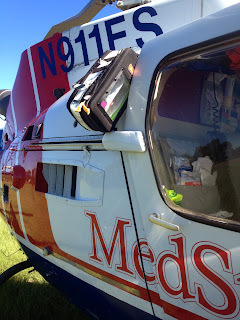 Years ago I operated a BH-206 with a spiffy new medical interior. The stretcher system included a restraint-bag that was intended to go on the patient's feet and be secured with seat-belt straps and buckles. My medical crew took one look at this foot-bag and determined that it was going to be too much trouble - and would become blood-soaked and dirty. They removed it from the aircraft. After a few months my director of maintenance got wind of this and blew a gasket. He explained to me in very clear terms that every bit of the medical interior was required by supplemental-type-certificate and every flight we performed with a piece of equipment removed constituted a separate violation of the Federal Aviation Regulations... He then proceeded to self-disclose our screw up to our FAA principal operations inspector, and we learned from this. Your aircraft has medical equipment installed and medical cargo carried on board. There are strict rules for both categories. In another incident, a pilot decided that the balloon pump could be fastened into the rear facing seat of a BK cabin, instead of using the "approved" straps and floor mounting location. Another upset director of maintenance... Although rare, there are certain instances where people have to get out of an aircraft cabin right-this-second - and anything in the way is a no-go. This is serious business folks. The O2 bottle coming loose in the event described in the report above could equate to a hefty fine against the certificate holder levied by the FAA, and the pilot could lose his license. Just imagine that D-cylinder falling down through someone's roof while they were eating breakfast or writing a blog-post. 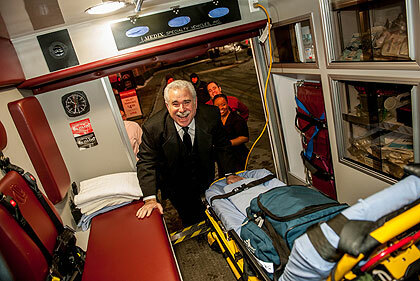 Dr. Ira Blumen with the University of Chicago Aeromedical Network Dauphin. I attended two educational sessions presented by Dr. Ira Blumen while attending the recent Air Medical Transport Conference in Long Beach, California. 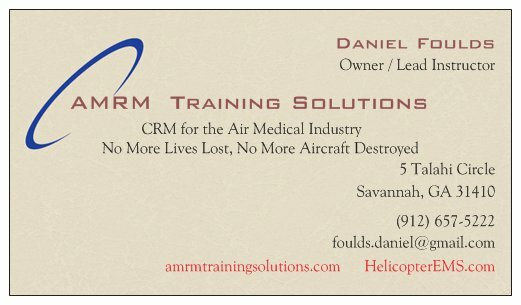 I have heard Dr. Blumen's name mentioned over the years as an authority why HEMS helicopters crash. 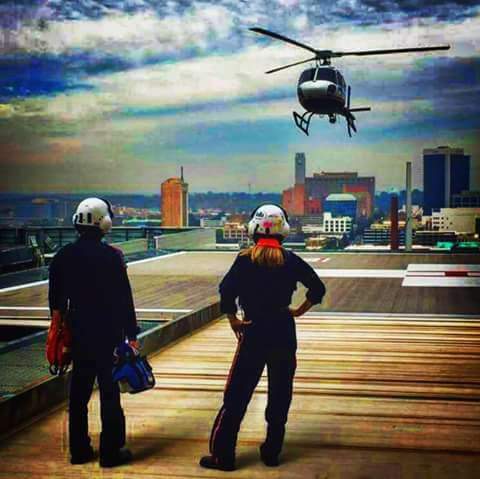 I confess to wondering why there aren't more helicopter pilots answering these questions - why are we asking doctors how to fix HEMS, why aren't we asking pilots? After meeting him and gaining some insight into his work on our behalf, I realize that my thoughts were wrong-headed. Dr. Blumen, joined by a team of HEMS professionals from all over the country and representing multiple disciplines, set about the most comprehensive project yet to determine why we crash HEMS helos, and what we should do to stop crashing them. But the team didn't just read the NTSB final reports, they read the entire "docket" (the entire file of every bit of information relative to a crash). This represented a tremendous amount of work, performed by volunteers. NEMSPA was represented by Bill Winn - thanks Bill for this service. What did they find? Sometimes the NTSB gets it wrong. The NTSB doesn't fully understand what we do in HEMS and how we do it.. They do good work with what they have - but Dr. Blumen's team dug deeper and gained further insights. I located a pdf of an earlier powerpoint on Dr. Blumen's work. Click here to view. The first of Ira's presentations recapped the team's research work, "The Opportunity for Safety Improvement in Helicopter EMS." The next was titled "The Wizard of Odds." His second presentation was coincidentally scheduled to follow mine in the same room. As I was spending time with my group, Ira was sitting on the floor behind the rows of chairs, laptop open, reviewing or tweaking his presentation I think. It reminded me of nights in the 160th, prepping and briefing missions - with work going on until the time-hack. I was struck by the fact that a mere-pilot was in the same room with an acknowledged industry expert. Ira and I both want the same thing - to prevent the next crash. The experience was collegial. Ira dispelled some myths. Do you think that flying on the backside of the clock - at night - is significantly more dangerous? I did. It's not. I have been putting out the information gleaned from various sources, and it turns out those sources are frequently wrong. We all know the joke about things on the internet, but it turns out things being published in the media are wrong too. Even the FAA get's things wrong. In their fact sheet to accompany the new HAA rules, they note that there are approximately 1515 (ems) helicopters being operated in the United States. This isn't what Dr. Blumen found, his number was closer to 900. Flying HEMS is not 6,000 per cent more dangerous than other types of flying as was published in the media. For the patient, the HEMS flight is the least risky part of the health-care experience. When they go into the hospital, that's when things get "real." In 2008 flying HEMS may have been the second most dangerous occupation behind commercial fishing. Not so anymore. We have made real safety improvements in HEMS - the numbers don't lie. The 40% probability of being killed in HEMS over a 20 year career as was noted in a medical publication is simply wrong. We still have a way to go and both Ira and I think that AMRM is the answer. It's number one on his list of "fixes." Dr. Ira Blumen is very gracious, and funny, and wickedly smart. He has been in movies and TV shows. 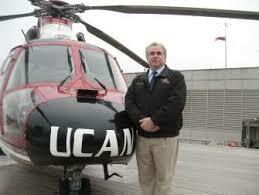 His program, UCAN, uses flying doctors. So he has been there and done what we do. 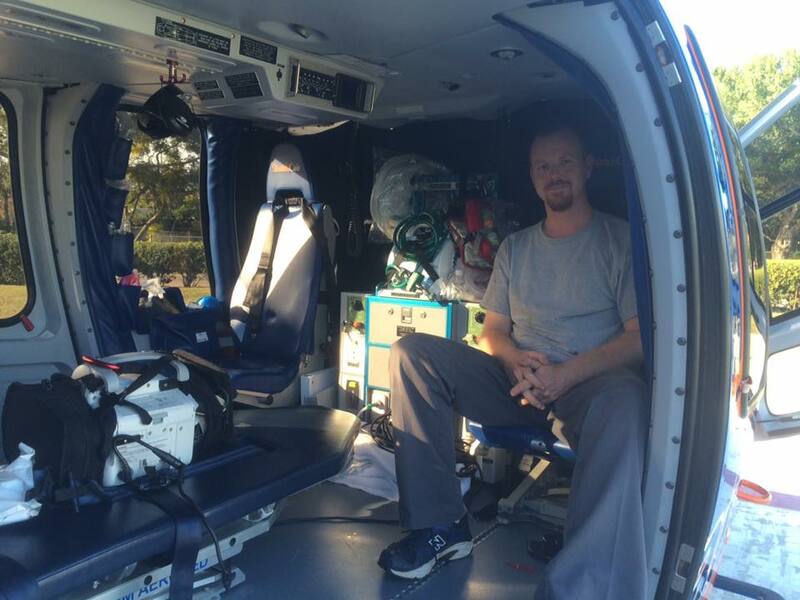 He is our friend, and we are lucky to have him in HEMS. I look forward to sitting in more of his presentations, and hopefully you will be there with me. Click here for EASA's report on this legendary aircraft.